Secure and lockable, MailboxWorks’ keyed mobile cell phone storage locker cabinets are ideal for use as employee cell phone lockers. You can find them in government buildings, office buildings, military facilities, plus sports and other public and private buildings. These multiple mobile phone storage units are perfect for securing cell phones, keys, cameras, and other small personal items. 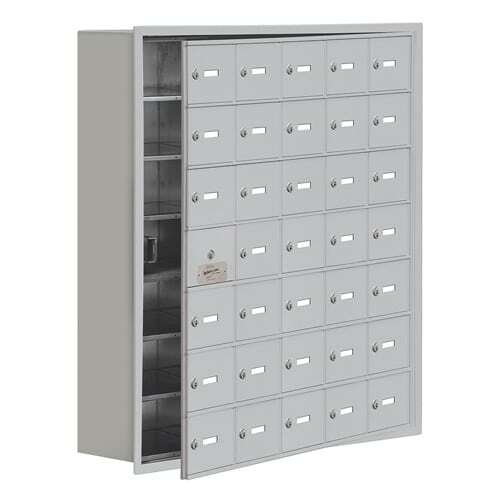 Offering top of the line cell phone security for all users, these cell phone storage locker cabinets are similar in design to Auth Florence commercial mailboxes. 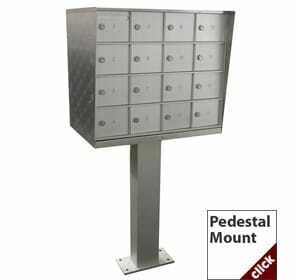 They are miniature versions of our secure commercial mailboxes and are designed to safely store away small personal belongings in public and private settings. Shop online for 8 door, 12 door or 16 door pedestal cell phone storage lockers for either indoor or outdoor use in office buildings and government facilities. These locking cell phone storage units give your employees and patrons a way to safely lock away phones, electronic devices, keys, and other small personal items. Get help with a cell phone storage locker quote to order mixed door sizes for both single and multiple cell phone storage in one module. Managers and owners can get easy access to all the cell phone storage locker units through the optional master door on front-loading cell phone storage units. These storage lockers designed for cell phones can be wall mounted and fully customized to meet the mobile phone storage needs of any environment. Since 1989 The Mailboxworks has been servicing residential and commercial customers across North America, offering the widest online selection for mailboxes, address plaques, collection boxes, storage units, and home and garden products. If you looking for a solution for residents, employees, or patrons to safely secure and store their cell phones and other small valuables, our experts at The MailboxWorks can help! 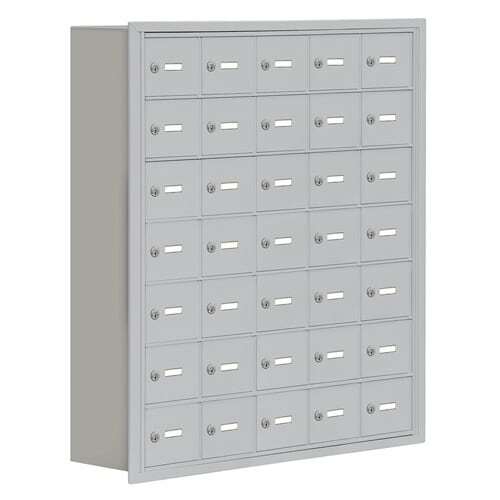 Email to inquire our line of cell phone storage lockers for sale.